We love it when other companies recommend our products to compliment theirs! It’s great to know that Owatrol are providing solutions to more problems year on year. The latest addition comes from a Scandinavian company called SkiGuard who sell, among other things, a range of roof boxes (sometimes called rooftop cargo carriers). They have recognized that many of their customers have difficulties with their roof boxes fading over time and have suggested Owatrol’s Polytrol as an excellent solution to the common problem of how to stop a roof box from fading. Why does my roof box fade? Roof boxes are generally made from pigmented polyester (known commonly as gelcoat) and as the surface suffers exposure to UV rays (especially during the summer) the color and shine can both begin to fade and dull. Standard black or white roof boxes are more susceptible to this than roof boxes painted to match your car as car varnish contains clear acrylic varnish which is more able to withstand the UV damage. The main cause for the surface fading is that the gelcoat manufacturers have been required to reduce the amount of cobolt and other substances in their products, due to environmental concerns. How can I prevent my roof box from fading? 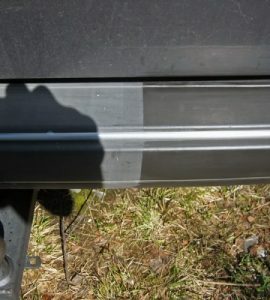 Repeat this process whenever your roof box is showing signs of beginning to dull or fade to revive its color. 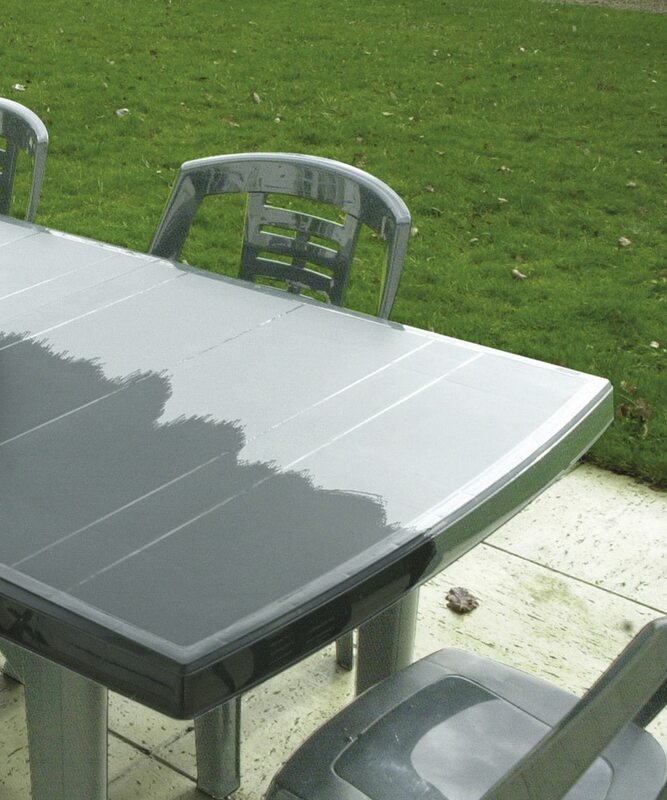 This isn’t exclusive to roof boxes though – you can use Polytrol on many surfaces including fiberglass (GRP), gelcoat, plastics, stone, concrete, tiles and even tarnished metal. 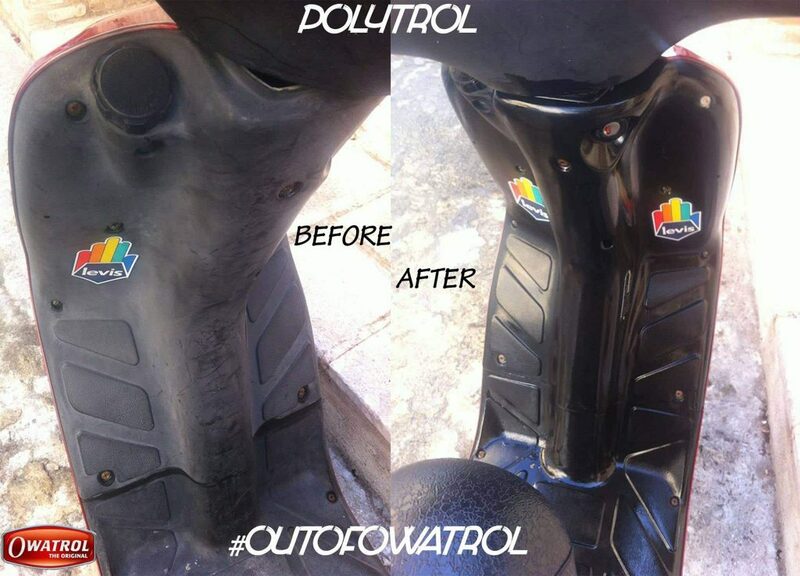 Polytrol is a deep penetrating oil which restores the original color and appearance of dull or tarnished plastics, gelcoats, metals and other surfaces. It penetrates the surface, re-wetting the pigments to restore their color and shine which has been lost through exposure to UV rays and it also gives corrosion protection.